Identity is a sweet and simple Multipurpose Joomla portfolio template suitable for all creatives, be it a designer, photographer, model, artist, creative agency, studio, modern business or literally everyone. 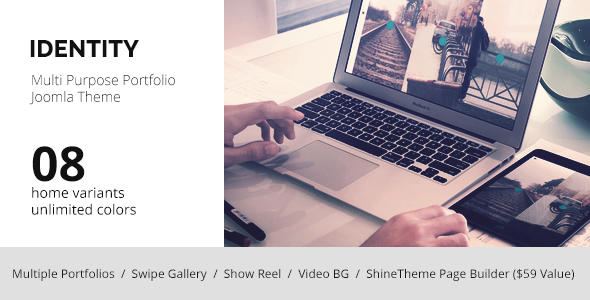 Item Reviewed: Identity Multipurpose Portfolio Joomla Template 9 out of 10 based on 10 ratings. 9 user reviews.